For the first time ever, education will be offered at the Oregon Brewers Festival by BREWVANA at the Beer Concierge tent with beer information and resources. Thursday through Saturday (July 26th – July 28th), tour guides will lead Beer 101 education along with tasting experiences. The educational sessions will take place at 4 pm in the Concierge Tent and will be free for all festival attendees. The tasting experiences will take place at 6 pm in the Concierge Tent and will require 1 mug and 4 tokens. Each day will feature a different themed selection of beers. The concierge tent will have beer resources such as Brew Ha maps, Willamette Week beer guides and Portland Mercury travel guides. BREWVANA staff will be there to answer any questions about beer on tap, breweries in Portland, beer ingredients and styles or for beer trivia fun. Beer resource packages will be provided at no cost to Airbnb hosts or VRBO owners interested in providing guests with info on how to navigate beer in Portland. There is no cost for the information and education, the tastings are just 4 tickets and a mug for the samples. Admission to the festival is all ages and free and no prior registration is required. 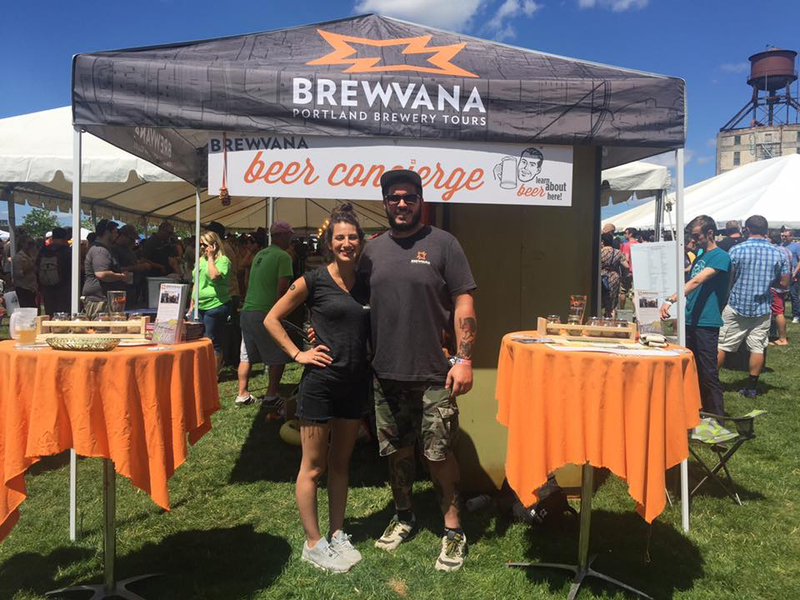 Get your tickets and experience BREWVANA in the Beer Concierge tent at the Oregon Brewers Festival. BREWVANA’s mission is to celebrate craft beer in Portland, Oregon! The company promotes the history and culture of the craft brewing industry, while providing guests VIP access to the brewing community through an all inclusive, educational, and fun journey. Born in the heart of the world’s leading craft beer industry, BREWVANA offers an intimate opportunity to sample some of the finest brews that Portland has to offer through partnerships with the best breweries in the world. Guests enjoy a ride their beer-themed short bus visiting up to 4 breweries per tour to sample beer, learn about the ingredients and brewing process, go behind the scenes, meet the brewers and have a great time! Private tours are completely customized to meet the needs of the group and can accommodate any number of people. Tours are available 7 days a week, advanced registration required.